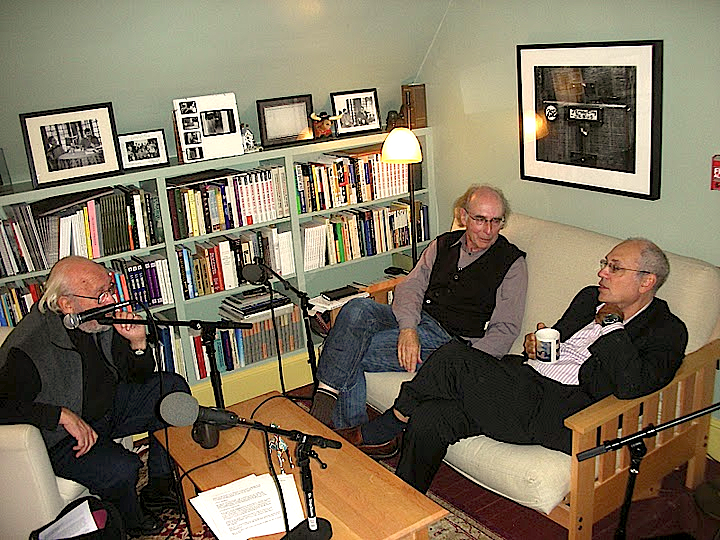 At left, from left to right: Peter Balakian, John Timpane, Jamie-Lee Josselyn. 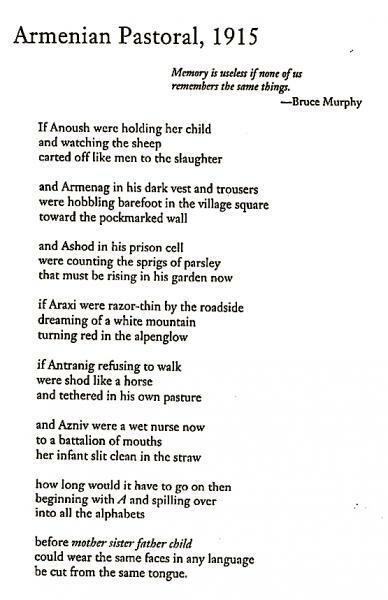 To discuss this poem, and more generally the problems attending the making of verse “about” genocide, PoemTalk brought together Jamie-Lee Josselyn, who has helped teach a course on representations of the holocaust for many years; John Timpane, poet and editor of the commentary page at the Philadelphia Inquirer; and Peter Balakian. Balakian’s own story of a poet's life grappling with the history and effects (and denials by others) of the Armenian genocide he has told in numerous books — in poetry and prose. We took advantage of Peter’s trip to Philadephia (from Hamilton, New York, where he teaches at Colgate University), and organized a poetry reading that took place just a few hours after we recorded this episode of our podcast. 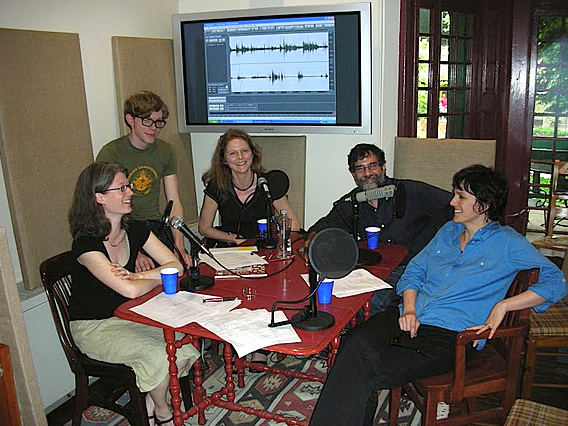 The entire audio recording (MP3) is available at the Kelly Writers House site (here). This episode of PoemTalk was convened and produced by Al Filreis, as always, and edited, as always, by Steve McLaughlin.